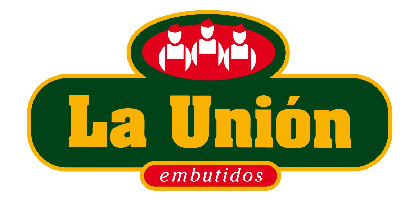 LA UNION ASTURIAN COMPANGO (ACCOMPANYING MEATS) 450GR. 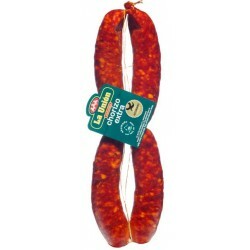 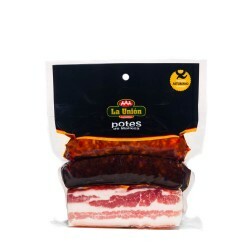 Extra Asturian smoked chorizo (pork sausage), lean pork, best quality adult bovine meat, paprika, common salt and garlic. 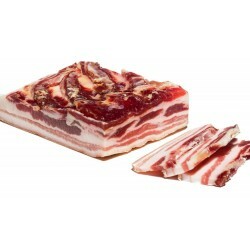 Bacon: bacon, common salt, preservatives (E-250, E-252). 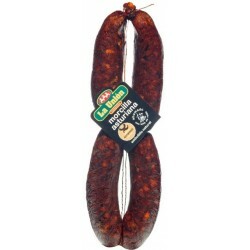 Asturian black pudding: smoked bacon, pork fat, onion, blood, paprika, common salt and garlic..